During the 19th and 20th centuries, physicists began to probe deep into the nature of matter and energy. In so doing, they quickly realized that the rules which govern them become increasingly blurry the deeper one goes. Whereas the predominant theory used to be that all matter was made up of indivisible atoms, scientists began to realize that atoms are themselves composed of even smaller particles. From these investigations, the Standard Model of Particle Physics was born. According to this model, all matter in the Universe is composed of two kinds of particles: hadrons – from which Large Hadron Collider (LHC) gets its name – and leptons. Where hadrons are composed of other elementary particles (quarks, anti-quarks, etc), leptons are elementary particles that exist on their own. The word lepton comes from the Greek leptos, which means “small”, “fine”, or “thin”. The first recorded use of the word was by physicist Leon Rosenfeld in his book Nuclear Forces (1948). In the book, he attributed the use of the word to a suggestion made by Danish chemist and physicist Prof. Christian Moller. The term was chosen to refer to particles of small mass, since the only known leptons in Rosenfeld’s time were muons. These elementary particles are over 200 times more massive than electrons, but have only about one-ninth the the mass of a proton. Along with quarks, leptons are the basic building blocks of matter, and are therefore seen as “elementary particles”. According to the Standard Model, there are six different types of leptons. These include the Electron, the Muon, and Tau particles, as well as their associated neutrinos (i.e. electron neutrino, muon neutrino, and tau neutrino). Leptons have negative charge and a distinct mass, whereas their neutrinos have a neutral charge. Electrons are the lightest, with a mass of 0.000511 gigaelectronvolts (GeV), while Muons have a mass of 0.1066 Gev and Tau particles (the heaviest) have a mass of 1.777 Gev. The different varieties of the elementary particles are commonly called “flavors”. While each of the three lepton flavors are different and distinct (in terms of their interactions with other particles), they are not immutable. A neutrino can change its flavor, a process which is known as “neutrino flavor oscillation”. 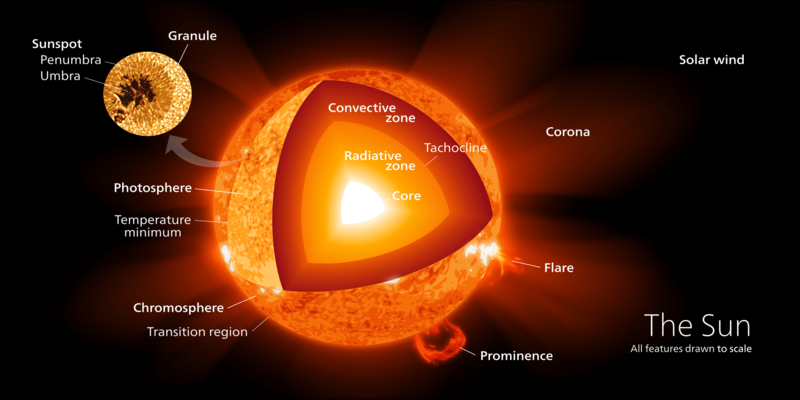 This can take a number of forms, which include solar neutrino, atmospheric neutrino, nuclear reactor, or beam oscillations. In all observed cases, the oscillations were confirmed by what appeared to be a deficit in the number of neutrinos being created. One observed cause has to do with “muon decay” (see below), a process where muons change their flavor to become electron neutrinos or tau neutrinos – depending on the circumstances. In addition, all three leptons and their neutrinos have an associated antiparticle (antilepton). For each, the antileptons have an identical mass, but all of the other properties are reversed. These pairings consist of the electron/positron, muon/antimuon, tau/antitau, electron neutrino/electron antineutrino, muon neutrino/muan antinuetrino, and tau neutrino/tau antineutrino. The present Standard Model assumes that there are no more than three types (aka. “generations”) of leptons with their associated neutrinos in existence. This accords with experimental evidence that attempts to model the process of nucleosynthesis after the Big Bang, where the existence of more than three leptons would have affected the abundance of helium in the early Universe. All leptons possess a negative charge. They also possess an intrinsic rotation in the form of their spin, which means that electrons with an electric charge – i.e. 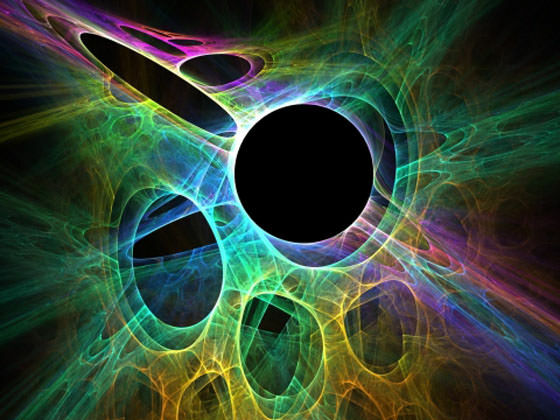 “charged leptons” – will generate magnetic fields. They are able to interact with other matter only though weak electromagnetic forces. Ultimately, their charge determines the strength of these interactions, as well as the strength of their electric field and how they react to external electrical or magnetic fields. None are capable of interacting with matter via strong forces, however. In the Standard Model, each lepton starts out with no intrinsic mass. Charged leptons obtain an effective mass through interactions with the Higgs field, while neutrinos either remain massless or have only very small masses. The first lepton to be identified was the electron, which was discovered by British physicist J.J. Thomson and his colleagues in 1897 using a series of cathode ray tube experiments. The next discoveries came during the 1930s, which would lead to the creation of a new classification for weakly-interacting particles that were similar to electrons. The first discovery was made by Austrian-Swiss physicist Wolfgang Pauli in 1930, who proposed the existence of the electron neutrino in order to resolve the ways in which beta decay contradicted the Conservation of Energy law, and Newton’s Laws of Motion (specifically the Conservation of Momentum and Conservation of Angular Momentum). The positron and muon were discovered by Carl D. Anders in 1932 and 1936, respectively. Due to the mass of the muon, it was initially mistook for a meson. But due to its behavior (which resembled that of an electron) and the fact that it did not undergo strong interaction, the muon was reclassified. Along with the electron and the electron neutrino, it became part of a new group of particles known as “leptons”. In 1962, a team of American physicists – consisting of Leon M. Lederman, Melvin Schwartz, and Jack Steinberger – were able to detect of interactions by the muon neutrino, thus showing that more than one type of neutrino existed. At the same time, theoretical physicists postulated the existence of many other flavors of neutrinos, which would eventually be confirmed experimentally. The tau particle followed in the 1970s, thanks to experiments conducted by Nobel-Prize winning physicist Martin Lewis Perl and his colleagues at the SLAC National Accelerator Laboratory. Evidence of its associated neutrino followed thanks to the study of tau decay, which showed missing energy and momentum analogous to the missing energy and momentum caused by the beta decay of electrons. In 2000, the tau neutrino was directly observed thanks to the Direct Observation of the NU Tau (DONUT) experiment at Fermilab. 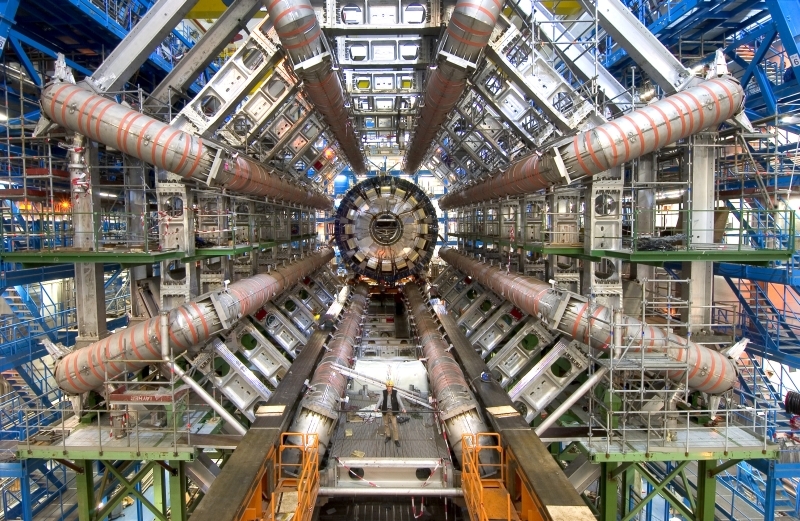 This would be the last particle of the Standard Model to be observed until 2012, when CERN announced that it had detected a particle that was likely the long-sought-after Higgs Boson. Today, there are some particle physicists who believe that there are leptons still waiting to be found. These “fourth generation” particles, if they are indeed real, would exist beyond the Standard Model of particle physics, and would likely interact with matter in even more exotic ways. We have written many interesting articles about Leptons and subatomic particles here at Universe Today. Here’s What are Subatomic Particles?, What are Baryons?, First Collisions of the LHC, Two New Subatomic Particles Found, and Physicists Maybe, Just Maybe, Confirm the Possible Discovery of 5th Force of Nature. 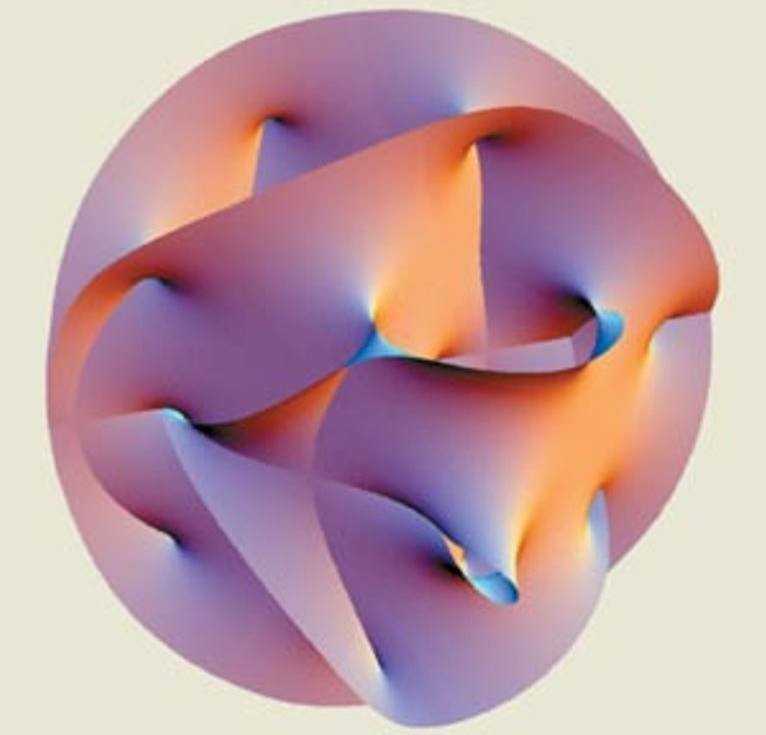 For more information, SLAC’s Virtual Visitor Center has a good introduction to Leptons and be sure to check out the Particle Data Group (PDG) Review of Particle Physics. Astronomy Cast also has episodes on the topic. Here’s Episode 106: The Search for the Theory of Everything, and Episode 393: The Standard Model – Leptons & Quarks. Phys.org – Explainer: What are Leptons? Atomic theory has come a long way over the past few thousand years. Beginning in the 5th century BCE with Democritus‘ theory of indivisible “corpuscles” that interact with each other mechanically, then moving onto Dalton’s atomic model in the 18th century, and then maturing in the 20th century with the discovery of subatomic particles and quantum theory, the journey of discovery has been long and winding. Arguably, one of the most important milestones along the way has been Bohr’ atomic model, which is sometimes referred to as the Rutherford-Bohr atomic model. Proposed by Danish physicist Niels Bohr in 1913, this model depicts the atom as a small, positively charged nucleus surrounded by electrons that travel in circular orbits (defined by their energy levels) around the center. By the late 19th century, scientists also began to theorize that the atom was made up of more than one fundamental unit. However, most scientists ventured that this unit would be the size of the smallest known atom – hydrogen. By the end of the 19th century, this would change drastically, thanks to research conducted by scientists like Sir Joseph John Thomson. In addition, Bohr’s model refined certain elements of the Rutherford model that were problematic. These included the problems arising from classical mechanics, which predicted that electrons would release electromagnetic radiation while orbiting a nucleus. Because of the loss in energy, the electron should have rapidly spiraled inwards and collapsed into the nucleus. In short, this atomic model implied that all atoms were unstable. The model also predicted that as electrons spiraled inward, their emission would rapidly increase in frequency as the orbit got smaller and faster. However, experiments with electric discharges in the late 19th century showed that atoms only emit electromagnetic energy at certain discrete frequencies. Bohr resolved this by proposing that electrons orbiting the nucleus in ways that were consistent with Planck’s quantum theory of radiation. In this model, electrons can occupy only certain allowed orbitals with a specific energy. Furthermore, they can only gain and lose energy by jumping from one allowed orbit to another, absorbing or emitting electromagnetic radiation in the process. These orbits were associated with definite energies, which he referred to as energy shells or energy levels. In other words, the energy of an electron inside an atom is not continuous, but “quantized”. These levels are thus labeled with the quantum number n (n=1, 2, 3, etc.) which he claimed could be determined using the Ryberg formula – a rule formulated in 1888 by Swedish physicist Johannes Ryberg to describe the wavelengths of spectral lines of many chemical elements. While Bohr’s model did prove to be groundbreaking in some respects – merging Ryberg’s constant and Planck’s constant (aka. quantum theory) with the Rutherford Model – it did suffer from some flaws which later experiments would illustrate. For starters, it assumed that electrons have both a known radius and orbit, something that Werner Heisenberg would disprove a decade later with his Uncertainty Principle. In addition, while it was useful for predicting the behavior of electrons in hydrogen atoms, Bohr’s model was not particularly useful in predicting the spectra of larger atoms. In these cases, where atoms have multiple electrons, the energy levels were not consistent with what Bohr predicted. The model also didn’t work with neutral helium atoms. The Bohr model also could not account for the Zeeman Effect, a phenomenon noted by Dutch physicists Pieter Zeeman in 1902, where spectral lines are split into two or more in the presence of an external, static magnetic field. Because of this, several refinements were attempted with Bohr’s atomic model, but these too proved to be problematic. In the end, this would lead to Bohr’s model being superseded by quantum theory – consistent with the work of Heisenberg and Erwin Schrodinger. Nevertheless, Bohr’s model remains useful as an instructional tool for introducing students to more modern theories – such as quantum mechanics and the valence shell atomic model. It would also prove to be a major milestone in the development of the Standard Model of particle physics, a model characterized by “electron clouds“, elementary particles, and uncertainty. We have written many interesting articles about atomic theory here at Universe Today. Here’s John Dalton’s Atomic Model, What is the Plum Pudding Model, What is the Electron Cloud Model?, Who Was Democritus?, and What are the Parts of the Atom? Astronomy Cast also has some episodes on the subject: Episode 138: Quantum Mechanics, Episode 139: Energy Levels and Spectra, Episode 378: Rutherford and Atoms and Episode 392: The Standard Model – Intro. This week at the Royal Astronomical Society’s National Astronomy Meeting in the UK, physicists are challenging the evidence for the recent BICEP2 results regarding the inflation period of the Universe, announced just 90 days ago. New research is laying doubt upon the inclusion of inflation theory in the Standard Cosmological Model for understanding the forces of nature, the nature of elementary particles and the present state of the known Universe. Back on March 17, 2014, it seemed the World was offered a glimpse of an ultimate order from eons ago … actually from the beginning of time. BICEP2, the single purpose machine at the South Pole delivered an image that after analysis, and subtraction of estimated background signal from the Milky Way, lead its researchers to conclude that they had found the earliest remnant from the birth of the Universe, a signature in ancient light that supported the theory of Inflation. Thirty years ago, the Inflation theory was conceived by physicists Alan Guth and Andei Linde. Guth, Linde and others realized that a sudden expansion of the Universe at only 1/1000000000000000000000000000000000th of a second after the Big Bang could solve some puzzling mysteries of the Cosmos. Inflation could explain the uniformity of the cosmic background radiation. While images such as from the COBE satellite show a blotchy distribution of radiation, in actuality, these images accentuate extremely small variations in the background radiation, remnants from the Big Bang, variations on the order of 1/100,000th of the background level. Note that the time of the Universe’s proposed Inflationary period immediately after the Big Bang would today permit light to travel only 1/1000000000000000th of the diameter of the Hydrogen atom. The Universe during this first moment of expansion was encapsulated in a volume far smaller than the a single atom. Emotions ran very high when the BICEP2 team announced their findings on March 17 of this year. The inflation event that the background radiation data supported is described as a supercooling of the Cosmos however, there were physicists that simply remained cool and remained contrarians to the theory. Noted British Physicist Sir Roger Primrose was one who remained underwhelmed and stated that the incredible circular polarization of light that remained in the processed data from BICEP2 could be explained by the interaction of dust, light and magnetic fields in our own neighborhood, the Milky Way. Now, new observations from another detector, one on the Planck Satellite orbiting the Earth, is revealing that the contribution of background radiation from local sources, the dust in the Milky Way, is appearing to have been under-estimated by the BICEP2 team. All the evidence is not yet laid out but the researchers are now showing reservations. At the same time, it does not dismiss the Inflation Theory. It means that more observations are needed and probably with greater sensitivity. So why ask the question, are physicists constructing a Rube Goldberg device? Our present understanding of the Universe stands upon what is called “the Standard Model” of Cosmology. At the Royal Astronomical Society meeting this week, the discussions underfoot could be revealing a Standard Model possibly in a state of collapse or simply needing new gadgets and mechanisms to remain the best theory of everything. Also this week, new data further supports the discovery of the Higg’s Boson by the Large Hadron Collider in 2012, the elementary particle whose existence explains the mass of fundamental particles in nature and that supports the existence of the Higgs Field vital to robustness of the Standard Model. However, the Higgs related data is also revealing that if the inflationary period of the Universe did take place, then if taken with the Standard Model, one can conclude that the Universe should have collapsed upon itself and our very existence today would not be possible. Dr. Brian Green, a researcher in the field of Super String Theory and M-Theory and others such as Dr. Stephen Hawking, are quick to state that the Standard Model is an intermediary step towards a Grand Unified Theory of everything, the Universe. The contortion of the Standard Model, into a sort of Rube Goldberg device can be explained by the undaunting accumulation of more acute and diverse observations at cosmic and quantum scales. Discussions at the Royal Astronomical Society meeting are laying more doubts upon the inflation theory which just 90 days ago appeared so well supported by BICEP2 – data derived by truly remarkable cutting edge electronics developed by NASA and researchers at the California Institute of Technology. The trials and tribulations of these great theories to explain everything harken back to the period just prior to Einstein’s Miracle Year, 1905. Fragmented theories explaining separately the forces of nature were present but also the accumulation of observational data had reached a flash point. Today, observations from BICEP2, NASA and ESA great space observatories, sensitive instruments buried miles underground and carefully contrived quantum experiments in laboratories are making the Standard Model more stressed in explaining everything, the same model so well supported by the Higg’s Boson discovery just two years ago. Cosmologists concede that we may never have a complete, proven theory of everything, one that is elegant; however, the challenges upon the Standard Model and inflation will surely embolden younger theorists to double the efforts in other theoretical work. 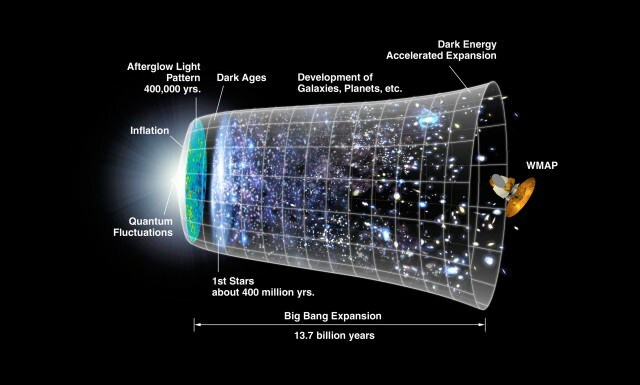 RAS NAM press release: Should the Higgs Boson Have Caused our Universe To Collapse? We’ve Discovered Inflation! : Now What? The mass of the proton, proton mass, is 1.672 621 637(83) x 10 -27 kg, or 938.272013(23) MeV/c2, or 1.007 276 466 77(10) u (that’s unified atomic mass units). The most accurate measurements of the mass of the proton come from experiments involving Penning traps, which are used to study the properties of stable charged particles. Basically, the particle under study is confined by a combination of magnetic and electric fields in an evacuated chamber, and its velocity reduced by a variety of techniques, such as laser cooling. Once trapped, the mass-to-charge ratio of a proton, deuteron (nucleus of a deuterium atom), singly charged hydrogen molecule, etc can be measured to high precision, and from these the mass of the proton estimated. It would be nice if the experimentally observed mass of a proton were the same as that derived from theory. But how to work out what the mass of a proton should be, from theory? The theory is quantum chromodynamics, or QCD for short, and is the strong force counterpart to quantum electrodynamics (QED). As the proton is made up of three quarks – two up and one down – its mass is the mass of those quarks and the mass of binding energy. This is a very difficult calculation to perform, in part because there are so many ways the quarks and gluons in a proton interact, but published results agree with experiment to within a percent or two. More fundamentally, the proton has mass because of the Higgs boson … at least, it does according to the highly successful Standard Model of particle physics. Only trouble is, the Higgs boson has yet to be detected (the Large Hadron Collider was built with finding the Higgs boson as a key objective!). Want to know the “official” value? Check out CODATA. And how does the proton mass compare with the mass of the anti-proton? Click here to find out! And how to determine the proton mass from first (theoretical) principles? This article from CNRS explains how. More to explore, with Universe Today stories: New Estimate for the Mass of the Higgs Boson, Are the Laws of Nature the Same Everywhere in the Universe?, and Forget Neutron Stars, Quark Stars Might be the Densest Bodies in the Universe are three good ones to get you started. Astronomy Cast episodes The Strong and Weak Nuclear Forces, The Large Hadron Collider and the Search for the Higgs Boson, and Inside the Atom will give you more insight into proton mass; check them out!